In early 2016, false teacher and hurler of New Apostolic Reformation seven-mountains dominionism, Lance Wallnau got an “impression,” an “impression” from the Holy Spirit. It was about Donald Trump, specifically about Donald Trump becoming the 45th President of The United States. It was about Donald Trump being raised up by God just as He raised up Cyrus for His purposes. But wait. Like a bad Sham-wow infomercial, there’s more! But, for Wallnau, it adds up, huh? Wallnau didn’t support Trump early on. Then he saw a meme. Then he “felt the Lord tell him to read Isaiah 45.” Then the Lord said the words “common grace” to him. And, wah-la Wallnau! A prophecy. The tipping point of authentication? Not the voice of God. (If Wallnau heard anything, it wasn’t God.) The adjudicating validation for his prophetic claim was … SCRIPTURE. But, not Scripture rightly handled. (2 Timothy 2:15) It was Scripture thoroughly “mis-handled” that was the prophetic key. If only we could insert mood lighting and drama-building sound effects when we write, you might apprehend how absolutely incredible this revelation is. It’s big. It’s huge. 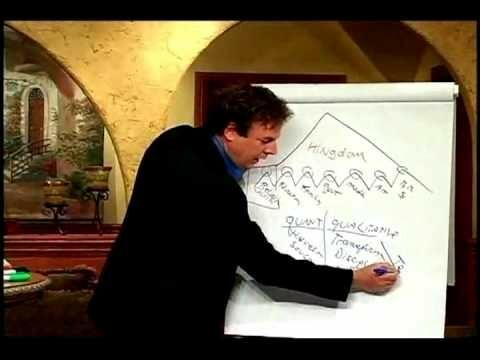 Wallnau predicted, with the accuracy of a coin toss, the outcome of the election … based on Scripture. There’s just one problem with this. Though we have them now, the original Holy Spirit-inspired, Hebrew Scriptures didn’t have chapter divisions. There was no Isaiah 45. It seems like the Lord might’ve used some method other than Bible-chapter bingo to confirm his prophecy to Wallnau. Now, I’m not making any prophecies or anything, but Jeremiah 45 sure seems close to what Americans are seeking via Trump … “do you seek great things for yourself?” What, again, was Trump’s campaign motto? Make America Great Again. Hmm. Scripture itself is evidence that God is not seeking to hide Himself or His Truth from the world. We need not (and SHOULD NOT) play games with it to rationalize our desires or to justify presumed (and false) prophetic claims. We need to “abide” in the Word, (John 8:31) to apprehend its full truth, to be compelled to full obedience to it, and to learn from it the assurance we can have because we have an utterly sovereign God. Beware the false prophets of the NAR who abuse God’s Word. Skip the spurious Cyrus prophecies. But, if you’re looking for a genuine revelation, pick up that Word and start reading. It’s the entire revelation of God that reveals “everything we need for life and godliness” (2 Peter 1:3). And God … He doesn’t play bingo with His Word. Don’t tolerate, then, those who do. Become a Pulpiteer and Receive “Help! Arminians are Giving Me Nightmares Again!” FREE by Christmas!